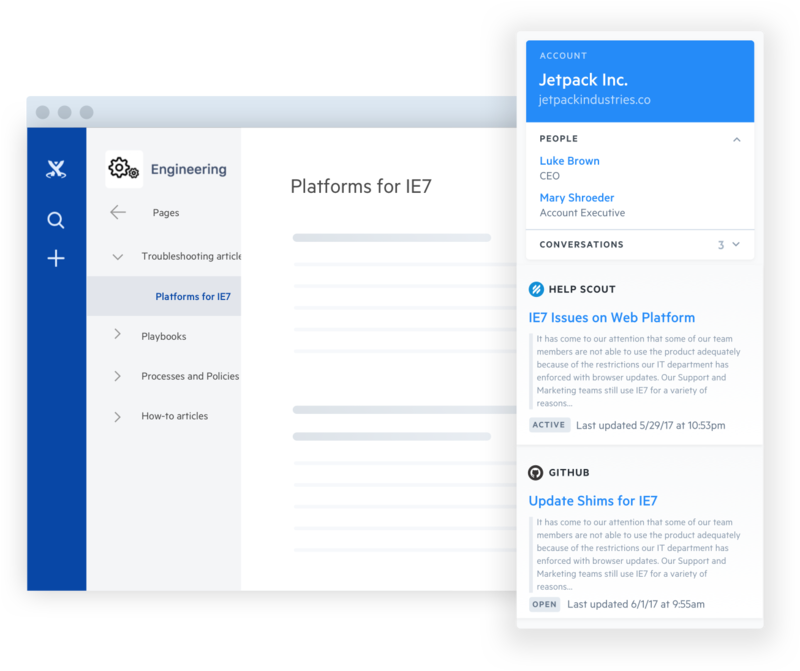 The Swiftype Enterprise Search Connector for Confluence is the quickest, easiest way to set up full-text search for your Confluence instance. The connector automatically indexes spaces, pages and blog posts. 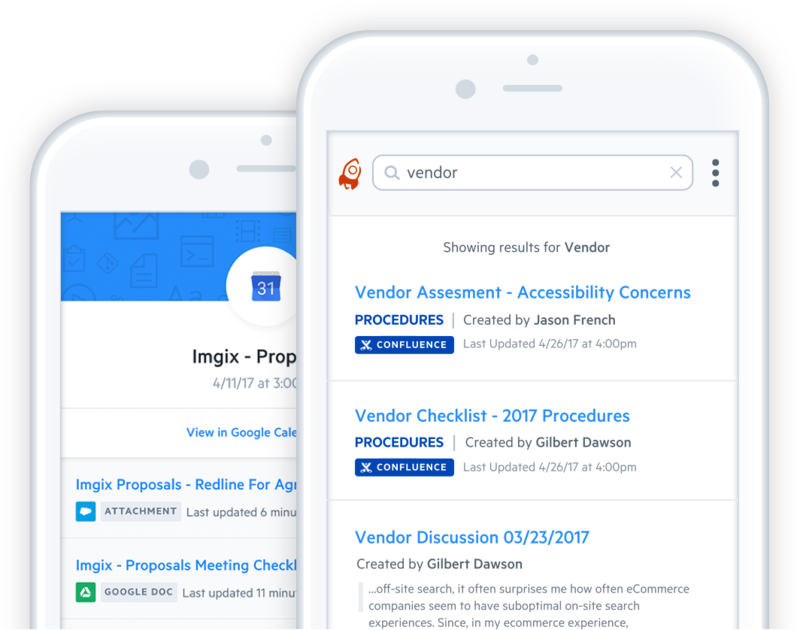 Once indexed, your team’s collective Confluence knowledge is accessible from any Swiftype Search client, alongside content from other data sources you have added, like JIRA, Slack, Google G Suite, and more. Heavy Confluence Users? So are we. We created the Confluence Search browser extension so you can find and view related information across all the apps you use at work without leaving Confluence. Whether you’re planning a release, documenting processes, or sharing knowledge with new employees, Swiftype predicts and surfaces related relevant content based on the work you’re doing. 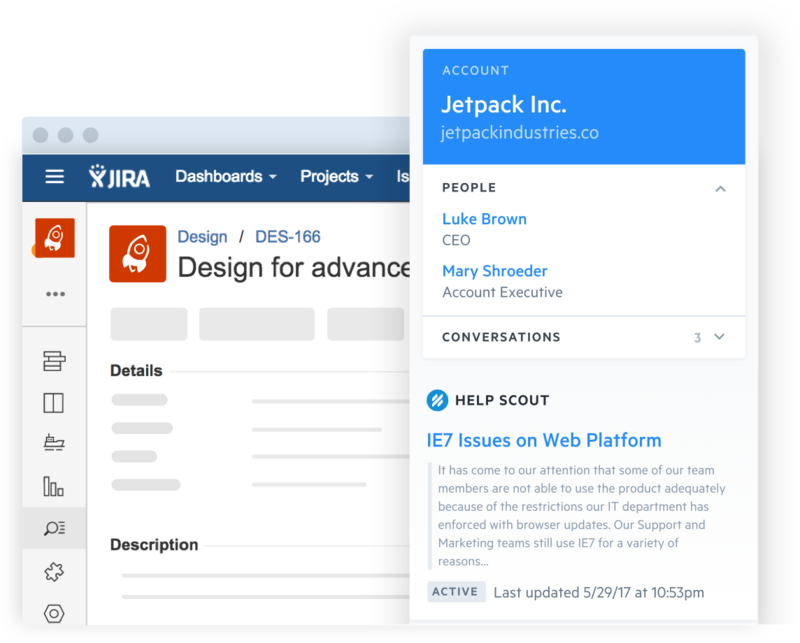 You can easily access Confluence content from your JIRA instance. 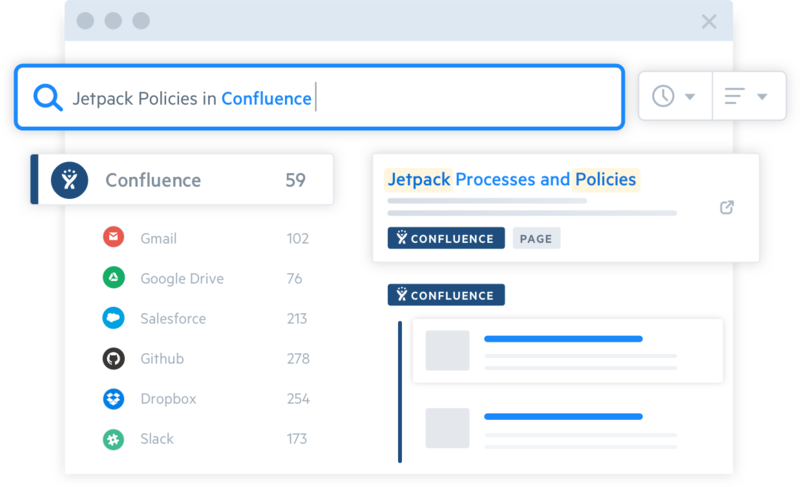 Once you’ve connected to Confluence, you can access all your spaces, pages and blog posts regardless of the application you’re working in. You can access your team’s Confluence knowledge from any of Swiftype’s search clients (such as a web-based app, mobile app, macOS app, omnibox, and more). No matter which search client you prefer, you will receive only the results that are most relevant to you. 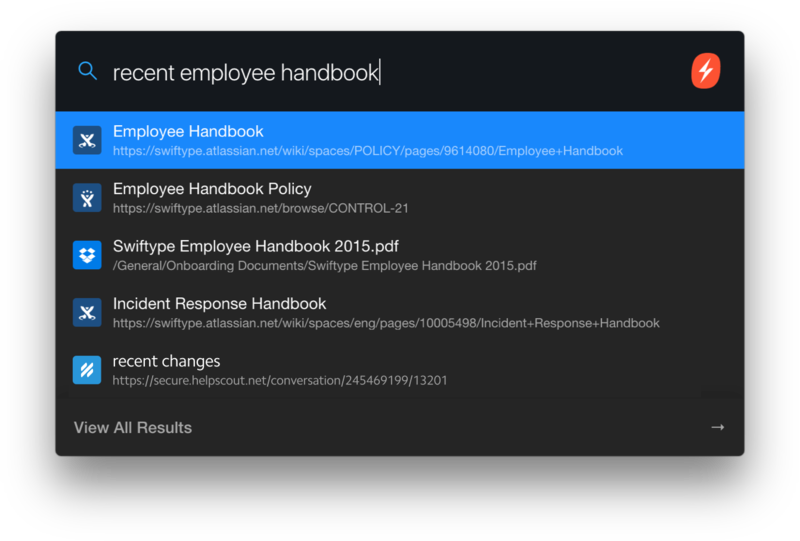 Help new employees find content that will onboard them more quickly - employee handbooks, corporate policies, team best practices and procedures. With Swiftype, you can significantly reduce the time it takes to ramp up new hires by enabling them to find answers faster and with greater accuracy, no matter where the content is stored. Even if you don’t integrate any of our other connectors, Swiftype’s advanced search algorithm significantly improves the relevance of results from Confluence’s native search. Users can leverage our artificial intelligence, machine learning and natural language processing technologies to search as naturally as they speak, automatically applying filters and refinements, and receiving the most precise results every time.